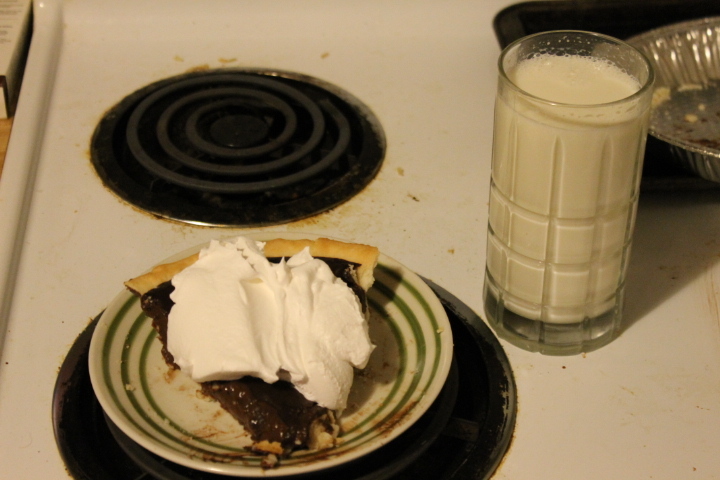 So after the strawberry pie I made last time I came up with a challenge to come up with a pie that was better than the store bought Whole Foods chocolate pie that did not taste very good. 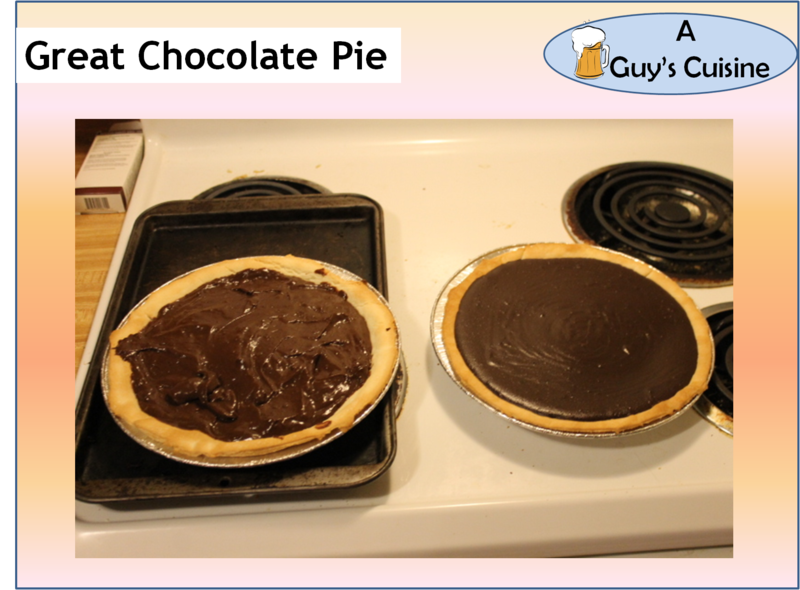 The filling was made from scratch while the pie crust was store bought. 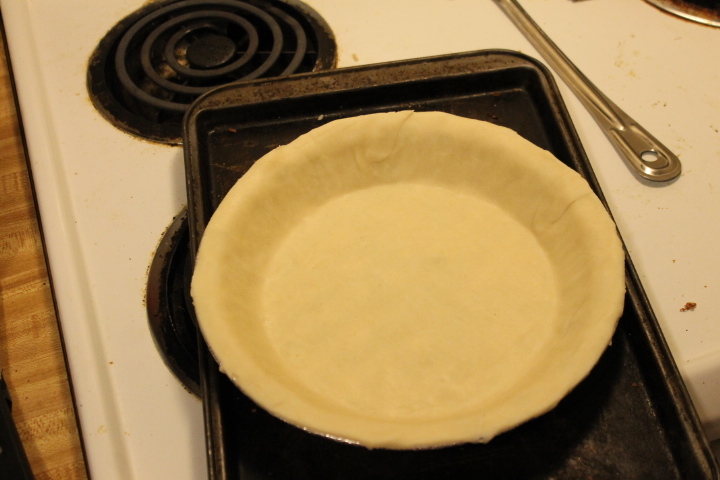 The first step is to bake the pie crust in the pie pan. Follow the instructions on the box. 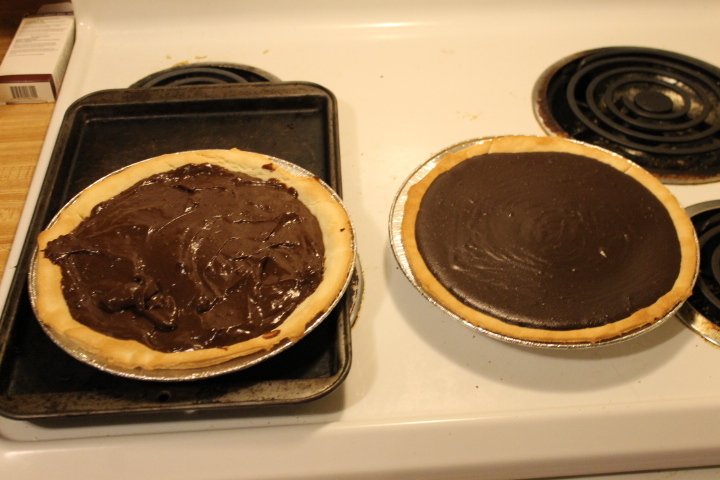 Then you need to cook the filling. Here is what you need. 1. In a large pan; combine everything except for the butter and vanilla. 2. 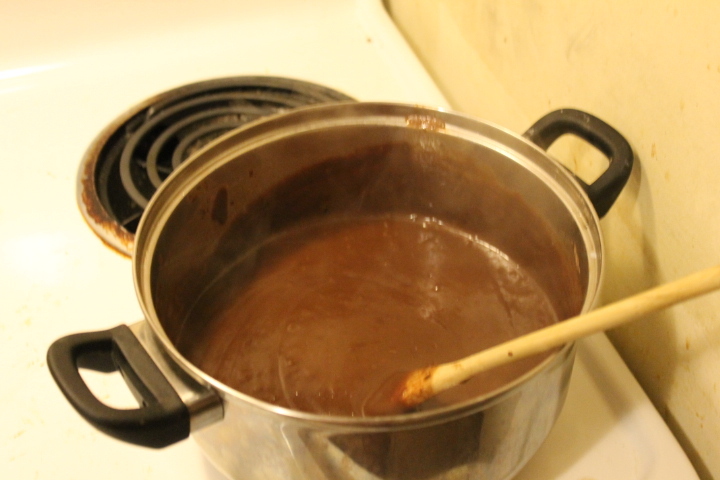 Bring the mixture to a boil and take off heat while stirring constantly. 3. 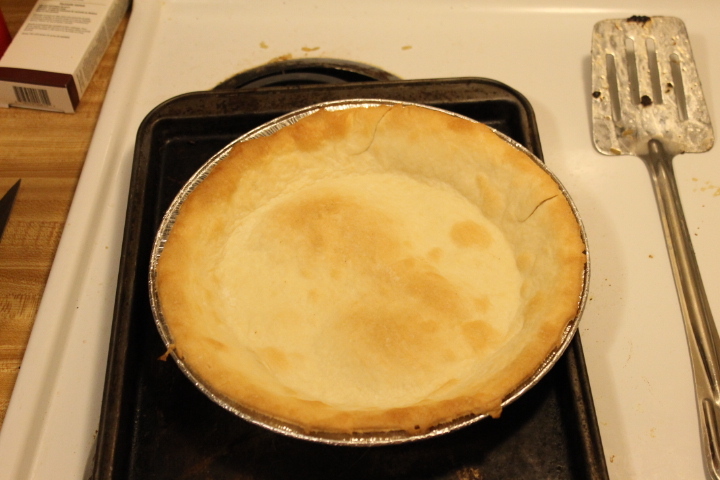 Pour mixture into baked pie crusts. Then let cool and chill in fridge. 4. Put on top some whipped cream and enjoy! Enjoy this pie. This will beat any store-bought pie any day! It does taste good. I gave a few pieces to friends and they loved it. 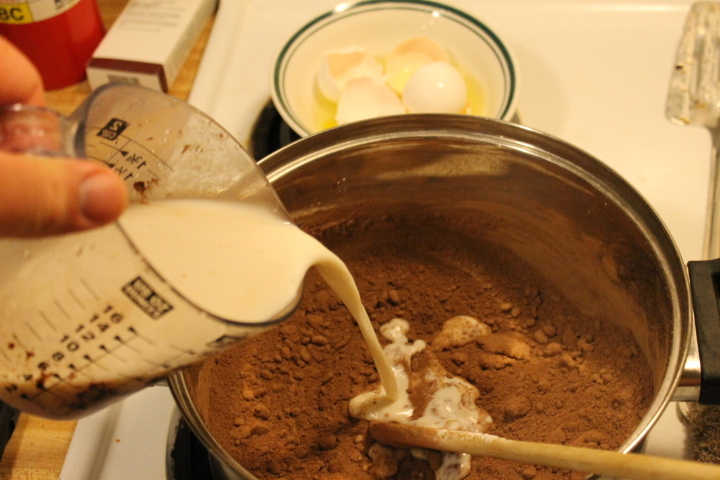 Enjoy the recipe and thanks for commenting!